We would like to thank Culver’s for hosting a special Culver’s Cares event this coming year. 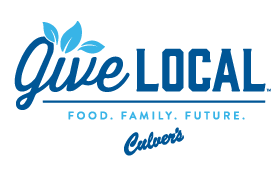 Please visit our Events Page for more information on how to participate with Culver’s in support of Huntsman Cancer Foundation. As the Culver’s have always said, a ButterBurger and Fresh Frozen Custard taste even better when they’re served with a smile, a “please” and a “thank you.” Hospitality, after all, is something everyone at Culver’s holds near and dear to their hearts. In many ways, Culver’s true measure of success has been its ability to instill Ruth’s spirit of genuine hospitality across all our restaurants, along with a commitment to delicious handcrafted meals and desserts inspired by the family farms surrounding the small town where it all began.